In the past, chronic tendon injuries, sprained knees and elbow pain was treated with rest, medications, ice, physical therapy and sometimes surgery. Now some physicians like Louisville orthopedic and sports medicine doctor Stacie Grossfeld MD are using a revolutionary and regenerative medicine called Platelet-Rich Plasma or PRP. PRP injections are used to effectively treat injuries in a timely manner. This injection is less invasive and has become more popular as a treatment for soft tissue injuries. 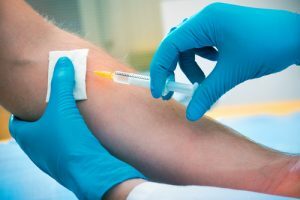 What Kinds of Injuries do PRP Injections Treat? PRP injections have been known to treat chronic tendon injuries, acute ligament and muscle injuries, knee arthritis, and fractures. They may even offer you relief following surgery. Some of the best athletes have used PRP injections to treat their injuries. This includes people like Alex Rodriguez, Brian Urlacher, Kobe Bryant and Tiger Woods. These injections help athletes return to the basketball court, golf course, and playing fields faster than other forms of treatment. Based on the latest research, PRP injections are safe, effective, and they do not leave residual long-term effects. Platelet Rich Plasma Injections – How Do They Work? 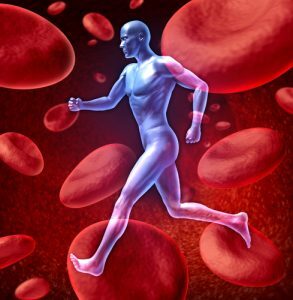 PRP or Platelet Rich Plasma is plasma with added platelets. In order to prepare the injection, the physician must draw blood from the patient. Then the patient’s platelets are separated from the red and white blood cells to increase their concentration through centrifugation. This is then combined with the remaining blood to be used as an injection. Typically, PRP is injected into the injured area. So for example, for tendinitis in the knee, the physician will inject a local anesthetic and the PRP directly into the inflamed tissue. Depending on the level of discomfort, most patients do not require more than two injections to find relief. After the injection, the patient may have some residual pain which generally lasts for a day, but may linger for up to a week. Generally, the swelling and stiffness will decrease and the outcome is positive. While Platelet Rich Plasma treatment is still relatively new, many professional athletes, physicians and patients consider it to be exceptional. If you are looking to get help for chronic and painful injuries, Dr. Stacie Grossfeld offers PRP injection therapy. Call 502-212-2663 today for more information or to schedule an appointment.